Adelphi is a world-class, modern university with excellent and highly relevant programs where students prepare for lives of active citizenship and professional careers. 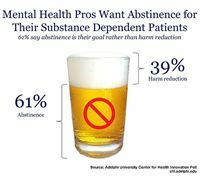 Through its schools and programs—College of Arts and Sciences, Derner Institute of Advanced Psychological Studies, Honors College, Robert B. Willumstad School of Business, Ruth S. Ammon School of Education, University College, College of Nursing and Public Health and the School of Social Work—the coeducational university offers undergraduate and graduate degrees as well as professional and educational programs for adults. Adelphi University currently enrolls nearly 8,000 students from 43 states and 45 foreign countries. With its main campus in Garden City and its centers in Manhattan, Suffolk County, and Poughkeepsie, the University, chartered in 1896, maintains a commitment to liberal studies, in tandem with rigorous professional preparation and active citizenship. 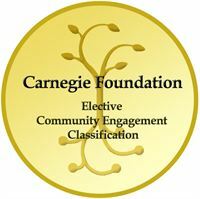 As a recipient of the 2010 Carnegie Community Engagement Classification, Adelphi University has been named in the recently released 2015 list of designated honorees. Awarded by the Carnegie Foundation for the Advancement of Teaching, this announcement solidifies Adelphi’s commitment to its larger community for the mutually beneficial exchange of knowledge and resources in a context of partnership and reciprocity. Adelphi is one of 361 institutions that now hold the Community Engagement Classification, recognizing the University’s engagement and contribution to important community agendas. University Placed on Top 30 List for the Green Power Partnership Program for the Second Year in a RowThe U.S. Environmental Protection Agency (EPA) announced Adelphi University as No. 29 on its Top 30 College & University list of the largest green power users among higher education institutions in EPA’s Green Power Partnership for the second year in a row. Adelphi is also ranked second in the Northeast-10 Conference in the EPA’s College and University Green Power Challenge, which tracks the collegiate athletic conferences with the highest combined green power usage in the nation. 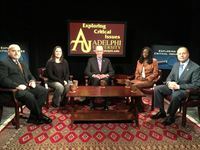 Program Airs in NY and CT on Cablevision 29 and 137 and Verizon FiOS 296 and streams simultaneously at www.telecaretv.orgExploring Critical Issues, the award-winning televised series conceived and hosted by Adelphi University President Robert A. Scott, continues to bring expert panelists together to discuss important current topics. The latest edition will discuss the crucial topic of school safety. It will air for two weeks, beginning on December 21, 2014 at 10:00 PM. 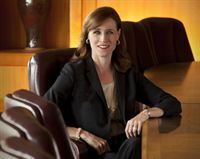 “We remember Sandy Hook, which left 20 children and six adults dead,” said Adelphi University President Dr. Robert A.